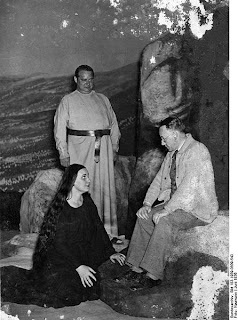 In 1934 Heinz Tietjen (1881-1967) conducted and staged Rheingold, conducted and staged Walküre, conducted and staged Siegfried, conducted and staged Götterdämmerung, conducted and staged Meistersinger - and finally staged Parsifal. Maestro Riccardo Muti was awarded the 2011 Birgit Nilsson Prize by H.M. King Carl XVI Gustaf of Sweden at a festive ceremony of celebration and musical inspiration held at the Royal Swedish Opera in Stockholm on Thursday evening, October 13. This Prize of one million dollars, established by Birgit Nilsson herself, is the most generous prize in the world of classical music.